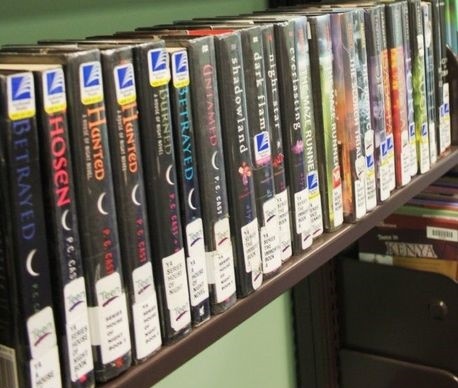 CLEVELAND, Texas – Several Christian leaders in Texas are urging a local library to remove books for teenagers that deal with vampires and other ‘demonic’ content. Phillip Missick, pastor of King of Saints Tabernacle in east Texas, recently testified at a Cleveland City Council meeting. According to local reports, Missick told city council members that a section of Cleveland’s Austin Memorial Library is inappropriate, because it features dozens of books for teen audiences that deal with black magic and vampires. The books mentioned by Missick include the popular Twilight and House of Night series, which have both sold millions of copies and primarily target younger reading audiences. According to Missick, these dark themes are inappropriate for teen readers in a public library. Several other Christians in the area, including James Holt of Cornerstone Church of Cleveland, agree with Missick’s conclusion. “What you read does have an influence on your life and the library needs to be careful with what kind of books need to be on the shelf,” Holt argued. So far, public library officials have said they will not remove the provocative books from the shelves, even though Missick gave the Cleveland City Council a petition that urged the “occultic and demonic” books to “be purged from the shelves.” The Austin Memorial Library’s head librarian, Mary Merrell Cohn, responded to Missick’s request by saying the library wants books of all types to be available for readers. Cohn told Missick that the library’s collection includes the Bible. Therefore, she argued, the vampire books should be permitted. Nevertheless, Missick, Holt, and several others want the books to be removed.